A host of ways to make eating, writing and other activities easier. Choose from pockets and holders, sturdy clips, leather cuffs and wrist supports that position utensils to the desired angle. 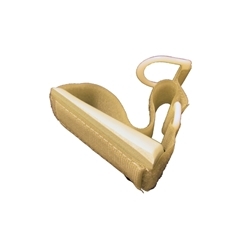 Adjusts to fit the individual and is designed to slip comfortably on and off for increased independence. Cuffs can be used with toothbrushes, razors, and thin combs.